As energy prices continue to rise in recent years, more homeowners are looking for ways to reduce the cost of their heating bills. Investing in energy efficient products is the most effective way to reduce the energy consumption of a property. 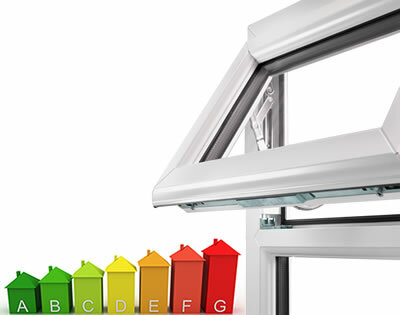 All of the glazing products in our range are rated A for energy efficiency. This means that they are incredibly energy efficient and that provide excellent insulation, as well as thermal retention properties. Suited to a wide variety of homes, our A rated glazing products are the perfect way to reduce the cost of your energy bills. At Phoenix, we’re focused on improving the energy efficiency of the homes we serve. As a result, we supply double glazing as standard, across every product in our range. Double glazing uses the space between two panes of glass to trap heat and keep a home warm for longer. The Energy Saving Trust has shown that a household upgrading to double glazing can save anywhere between £130- £175 a year on the cost of their heating bills. In addition to double glazing, we also offer triple glazing, giving you the opportunity to achieve the highest possible levels of energy efficiency in your home and dramatically reduce the cost of your energy bills. At Phoenix, we’re committed to helping you save money, and also to helping save our environment. All of the old frames that we remove from properties during installations are recycled so that we can do our bit to help the eco-system. Rest assured that Phoenix are a company that cares about the welfare of the local environment. For more information about the energy ratings of our glazing products, please contact us here or give us a ring on 024 7635 0330.